Allow Picture It Studios to help you capture and preserve important life moments in your family's history. Call today and we'll help you plan the perfect portrait session. The results of that session will enable you to ﻿decorate the walls of your home with family portraits, depicting the warmth and love felt by all. Our customers direct us to create portraits of their immediate family, in three Collections. These collections are the Majestic Collection, the Wall Portrait Collection and the Gift Portrait Collection, from $125. Package content ranges from large wall portraits to small table-top prints. You direct our portrait photographers to capture important life moments either Outdoors, On-Location, or ﻿In-Studio. Our staff of graphically trained experts use the worlds most powerful digital photo editing software to professionally retouch each picture selected for print. We make sure you believe everyone looks their very best before sending selected images to print. 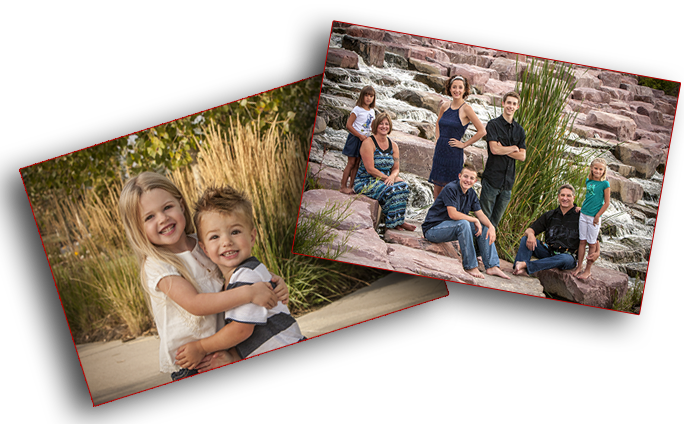 ﻿﻿Click here to schedule your Family Portrait session!